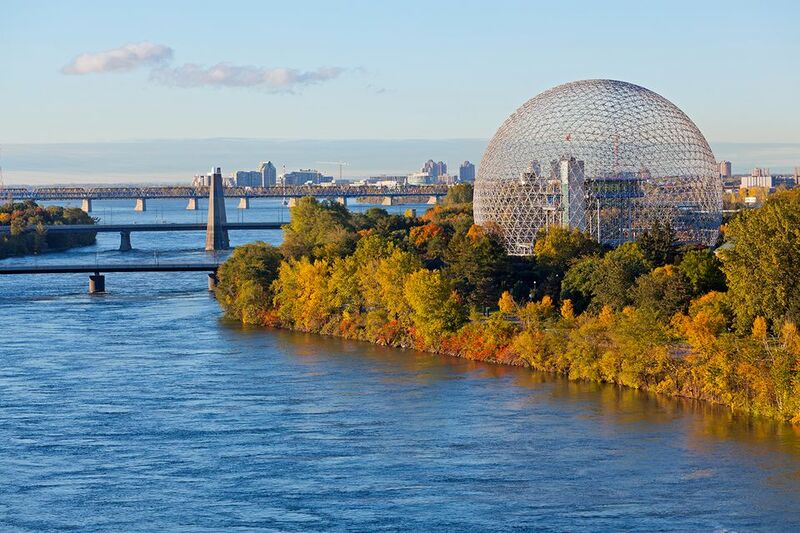 Looking for things to do in Montreal this Canadian Thanksgiving weekend? There are plenty of fun, seasonal events, including leaf-peeping, ghost tours, jazz festivals, and more. Make sure not to miss out on the celebrations! The time to leaf peep is now. Don't wait until the end of the month. This Canadian Thanksgiving weekend, check out some favorite Montreal leaf-peeing destinations, and be inspired as you take in the array of colors and shapes while they're in their prime. Note: Mount Royal Park, the Montreal Botanical Garden, and Morgan Arboretum are bound to be packed with crowds. However, visit the off-the-beaten path Parc Angrignon or Bois de l'Ile Bizard to avoid the tourists and have the trails to yourself. In the mood to get spooked? Try an Old Montreal ghost walk, where you'll learn the haunted history behind some of Old Montreal's streets and landmarks. From Pierre du Calvet's creepy 18th-century mansion to Auberge St. Gabriel's fantômes, these scary sites show a darker side to Montreal. Bring your street shoes, and plan in advance to meet your storyteller. The Montreal Botanical Garden's main draw this time of year is Gardens of Light. This autumn event takes over three gardens: The Chinese Garden hangs traditional lanterns, the Japanese Garden has a meditative illuminated path inspired by the four seasons, and the First Nations Garden has an electric multimedia experience with projections and light displays. It's open to the public all through Canadian Thanksgiving weekend, including Monday, October 8, 2018. Catch the L'OFF Jazz Festival running October 4 through October 13, 2018, which includes free performances happening at Résonance Café. It's one of the favorite Montreal jazz venues, and it doubles as a vegan café. Beer prices are reasonable too. Head to a pumpkin patch, or pick your own produce at one of Montreal's public markets like Marché Jean-Talon. There's also the Great Pumpkin Ball, which happens every year at the Montreal Botanical Garden. Esmerelda the Witch makes an appearance along with a few hundred dressed-up squashes during the pumpkin decorating competition. Running every day through Canadian Thanksgiving weekend is the annual LGBT-friendly Black and Blue event. This nightlife-centric series of social activities including the main event on Sunday, October 7, 2018 with its customary dress code: wear black and blue. Granted, it's a little early to carve out that jack o'lantern—unless you want him to look like a decomposing corpse by Halloween—but that shouldn't stop you from visiting a pumpkin patch near Montreal. It's got family day written all over it. La Ronde gets weird this time of year for Fright Fest, an annual Halloween prelude when ghouls, zombies, and demons take over the grounds at sunset, adding to the thrilling ambiance which naturally includes haunted houses. The one rule these creepers follow? No touching. Otherwise, the weak of heart and young children are advised to sit this one out. Who doesn't love freebies? McGill University's Redpath Museum is one of the last free museums in Canada (though if you can manage it, please give a donation). There's also this free downtown Montreal walking tour. Just remember to book your spot and you're good to go.